My hair removal limits down to shaving and IPL hair removal (which is too time consuming and costly for my legs). If I were to wear a dress every day I would have to shave my legs approximately twice per week. It grows so quickly! I have been awfully lazy lately, it takes me a long time to double cleanse, brush my teeth, wash my body, shampoo and condition my hair in the shower so the last thing I want to do is to spend more time to shave my legs. For the past few weeks I have been testing Braun's Silk-Epil 9 SkinSpa Epilator, read below to see how I went with it! When I received this kit, it was the first time I have ever tried an epilator. After reading through the instructions, I thought "Ouch" this sounds painful. I started off epilating my legs, the hairs on my legs were quite long as I have not shaved for some time. The epilator pulls out individual hair, I did half my leg fairly quickly and had to take a break. YES, it was painful, although after about 5 minutes of on and off epilating, the pain subsided. Little red bumps were visible after I had epilated my entire leg, however the bumps eased after an hour or two. As a result, I would recommend users to epilate in the evening! Since the first session, I would then epilate my legs for a minute or 2 every 3-4 days to take out all new hairs. This product is incredible, I would spend under 2 minutes epilating my legs every odd day and my legs feels smooth as ever. To be honest, I don't think I will go back to shaving unless I really have to because I find shaving in the shower a real chore as opposed to epilating whilst drinking tea/watching tv. The epilator is also easy to clean with the little brush that is included in the kit. I used the designated cap to epilate facial areas, I have been epilating my upper lips (hair grows quickly there!) and found it to be a little bit difficult with the cap, some of the hair closer to my lips or around the edge of my lips were difficult to remove. I did not experience any red bumps or any sensitivity. I am SO happy that this is epilator is chargeable via a power point included in the package. I really dislike batteries. I have never used an exfoliation or a massage brush on my body before. This is a real luxury. The brush and massage are attachable once the epilator head is removed. The massage brush is a fantastic method to exfoliate your body in the shower, while I find the massage brush to be best used after you have applied body lotion/cream to increase circulation. This facial brush is sort of like an "add-on" in the set. It contains a normal brush, sensitive brush and exfoliation brush. The brush is battery operated, unfortunately this is not something I prefer. I found the normal brush and exfoliation brush to feel a little bit harsh on my skin and prefer the pink sensitive brush. Although I am not too fussed on this brush, it is an 'add-on', so really, it's bit of bonus if you are looking to purchase an epilator anyway! I don't often wear watches to look at the time, it's mostly worn as a fashion statement, the fact that it was able to tell me the time was a bonus. I have grown to love accessories more and more in the past year, from sunglasses to watches. Instagram is evolving my sense of style. Today I present to you KLASSE14, a brand that bridges between fashion forward design and world class engineering. KLASSE14 is about expressing your own individual uniqueness. Like 85% of the population (pulled that number out of the thin air), I am in love with everything rose-gold, so KLASSE14's Rose Gold Brown Leather watch (from their Volare Classic range) was the perfect addition to my collection of accessories. Other: In case you are wondering, there is a glass covering so no dust will go into the intricate parts of your watch! I am so happy to be able to add this gorgeous watch into my collection, it goes with pretty much anything in my opinion! I personally feel that this is a reasonably affordable watch when you compare the prices to all the other watches in the watch-land. However, I am mindful that $288 is not a small amount. If you are looking for a precious and timeless piece to add to your collection and you enjoy the unique style from KLASSE14, I have a discount code for you below! See more from KLASSE14 here. This product was provided for editorial purposes. It was an such an honour to receive an invite to Sisley's Black Rose Skin Infusion Cream recently. 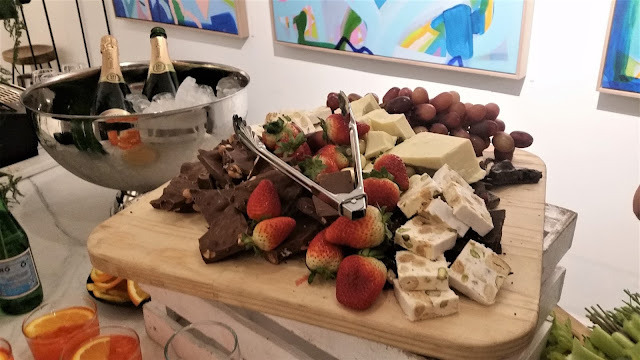 Unfortunately due the start of my new job I was unable to physically attend, so I sent someone I love and trust to take footage of the event and feed all the information back for the blog on my behalf! If you are not familiar with Sisley, it's a luxurious brand from France launched in 1976 and distributed to all 5 continents (over 90 countries). In 2011, Sisley launched their Black Rose Cream Mask (photo below) which quickly became a cult product in record time (no. 1 in France's "Masks" category with 1 million units sold worldwide in the past year). 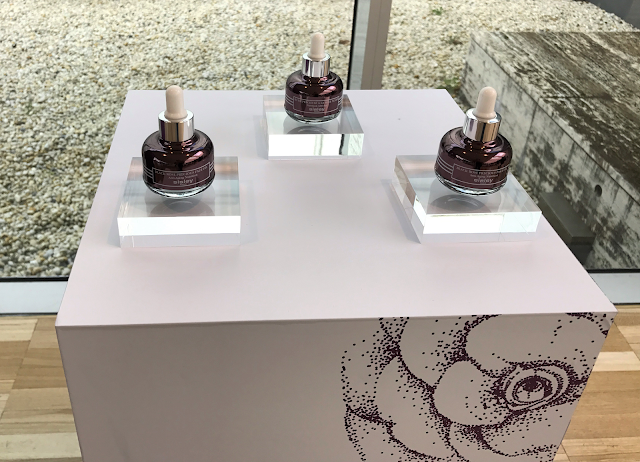 In 2014, Sisley added a gorgeous Black Rose Precious Facial Oil (Photographed above) to the range, and in 2017 the sensory journey continues with an amazing Black Rose Skin Infusion Cream (Photographed below). Black Rose Skin Infusion Cream is a rich yet light weight cream thanks to it's "Water Drop" texture, it contains a water-in-oil emulsion that transforms upon application, changing into micro-water droplets that infuses the skin and carries powerful ingredients deeper into the epidermis. Alkekengi Calyx extract plumps the epidermis and dermis. Padina pavonica extract reinforces the hydric layer of the dermis to restore the skin's volume. The Aqueous extract of the black rose helps instantly smooth the skin's texture. Hibiscus flower extract tones and gently exfoliates the skin. Alpine Rose extract, rich in powerful antioxidants helps the complexion to glow. Oily extract of Black Rose, May Rose floral water and oils of Shea and Camellia provide the skin with softness and instant freshness. My mum, aka Lily not Louise's rep for this event, tested the product at the time of the event and told me that the product felt light weight as claimed and absorbs very quickly. The floral scent was not pungent but rather soothing and pleasant. Mum had such a blast at her very first event and was well looked after thanks to Fiona, Sisley and Tasha from Teacupofmakeup. After looking at the photos, reading through the media release and hearing what mum had to say about her experience, Black Rose Skin Infusion Cream has officially found a place in my daily routine and I cannot wait to let you guys know how I go! - Doubles up as a soothing and hydrating mask if left on for 10minutes. - Jasmine and Rose to help recondition dull, dry and dehydrated/mature skins. Take no more than a 5c piece size of the Cleasning Balm into the palm of your hand to create a cream. Apply to the face, neck and eye area and massage thoroughly into the skin. To remove, soak a cleansing cloth in warm water, squeeze out the excess and gently wipe over the whole face and neck, taking extra care around the delicate eye area. I have used a few different cleansing balms, some were great and some were difficult to wash off. Emma Hardie's cleansing balm is among one of the best cleansing balms I have ever used. The texture of the balm is creamy and easy to apply, I would rub a small amount between my fingers and onto the lids of my eyes to remove my eye makeup. I personally prefer using micellar water around my eyes, but this can be an option, however remember to use the cleansing balm around your eyes with great care because you don't want any cleansing balm in your eyes! This cleansing balm deep cleanses like nothing else, it will remove all traces of makeup and more! My skin looks and feels amazing following a cleanse, I feel like I don't even need to double cleanse. I always spend a few minutes massaging the balm on my face, so I suppose it acts as a mask at the same time. My skin is never dry after use. The most INCREDIBLE thing about this product is the cloth. I have tried many cotton cloth and the makeup stains are impossible to remove. Emma Hardie's cloth is a miracle cloth with all the right material. The make up stains washes off with ease, in fact, I can run it under the shower and the stain will remove from the impact of the water droplets. You will never need to spend time cleaning the cloth after your cleanse. This is hands down the best cleansing combo I have come across. It's not a cheap product at, but you get a whooping 100g. I have always read fantastic reviews for Emma Hardie products and now I know why! The FIRST mascara I fell in love with was Elizabeth Arden's Ceramide Mascara, I was a poor high school student and purchased a magazine just to sample the mascara. 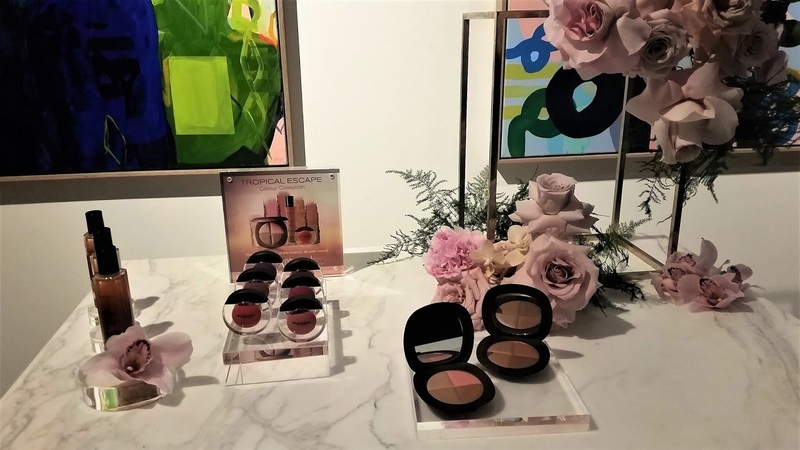 I was so excited and honoured to be able to join Elizabeth Arden's showcase of their latest beauty innovations. 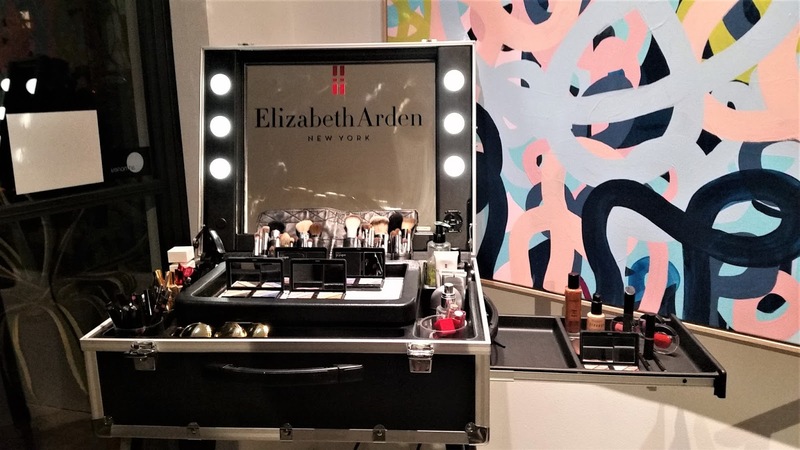 We were greeted with spritz and stands of beautiful Elizabeth Arden's newest products. Let's start from left to right, sorry my phone captured some pretty dark photos but I will ensure to put up some review on the products. DARE TO BARE - A BEAUTIFUL body bronzing oil that will illuminate your skin with an all over shimmery sun touched glow. SHEER KISS LIP OIL - I thought those were blushes, but the are addictive, lightweight lip colours packed with 5 precious oils to deliver hydration anti-oxidants and anti ageing effects for soft, supple plumped up lights. Available in 6 shades. FOUREVER BRONZING POWDER - This four in one compact blends effortlessly to create naturally bronzed effect. You can also use this product separately to highlight, blush, contour and bronze. Available in Medium and Dark (limited edition). 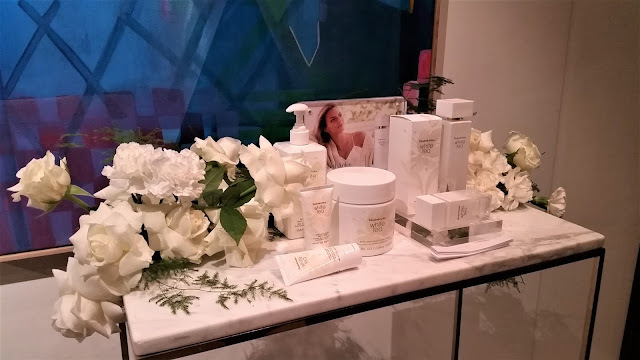 This is Elizabeth Arden's white tea range. White tea is the most premium tea, queen of all teas. I have been obsessed with Elizabeth Arden's green tea range and would stock up every Christmas. I am so happy to see this range cos the products are absolutely beautiful. LASTING IMPRESSION MASCARA - Make an impression with this high impact mascara that captures every last lash to separate and define for a never ending lash look. Infused with Ceramides for strong, healthier lashes. Clump proof. Smudge Proof. Flake Free. STATEMENT BROW DEFINING GEL - The brow gel that does it all- with the coverage of a pencil and the natural look of a powder. The total package to the perfect brows- it groms, combs, fills, shapes and defines brows. Create statement brows with just one swipe. 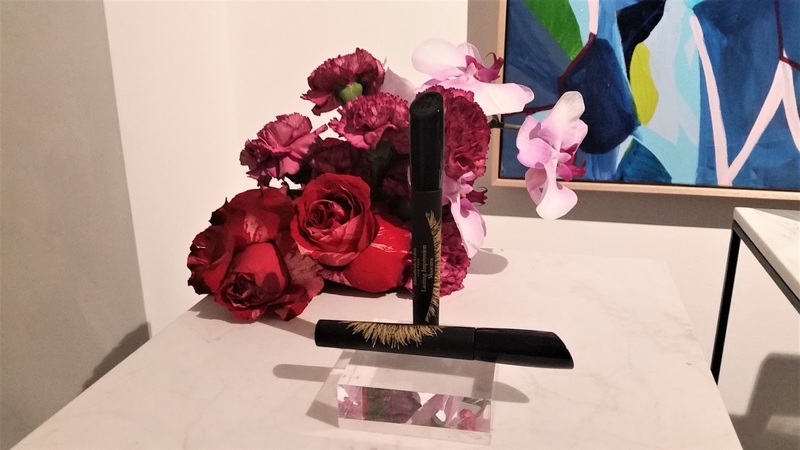 The unique formula instantly transforms lashes to stand out. Statement Brow Gel can dress it up or dress it down. Take control of your look from natural to bold. Available in 4 shades: Blonde, Honey, Brown, Deep Brown. EYE SHADOW TRIO - The customizable Little Black Compact is your go-to for endless makeup looks. Choose and combine interchangable eyeshadow trios from a selection of curated, complementary colours. 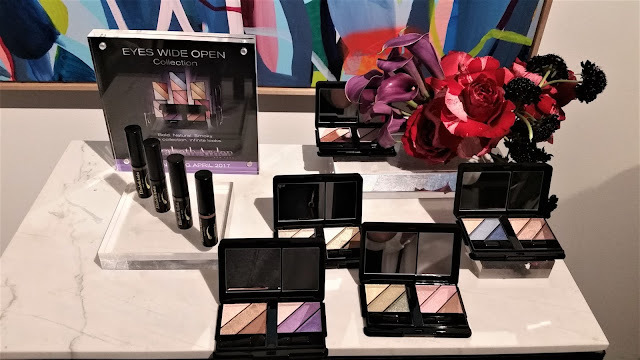 Each set of the long-wear and crease-resistant formula features an enhance shade that can be used as a base, a define shade for contouring and a highlight shade to brighten and open eyes. Go from day to night in shades from flattering neutrals to bright blues, greens, pinks and purples in a variety of matte, shimmery and metallic finishes. The smooth, powder shadows can be applied wet or dry to achieve your desired level of colour intensity. The formula is ophthalmologist tested and vitamin enriched. Available in 10 shades. I am not doing a Mother's Day gift guide this year, rather I am nit picking product that I think would be a good addition for mum this Mother's Day in individual posts. Lük is a beautiful toxin free and 100% Natural lipstick brand founded by Cindy Lüken. I fell in love with Lük's nourishing lipsticks last year, it was love at first application, the entire time I thought to myself this is one of the best and most under rated lipstick on the market. Today we will look at Rose Lime, a fantastic member of Lük's lipstick army. All lipsticks are made in Australia. I absolutely love Lük's lippies and actually owned their products prior to this PR sample being sent to me, some shades are pigmented some a more sheer. Rose Lime is on the sheer side. I use this on a regular basis for work because it's such a workable shade. This is one of the creamiest and most moisturising lipstick I have used. Unlike some products where my lips tend to feel dry after an hour of application. Lük will ensure your lips remain supple and soft even after the product wears off. Since this lipstick is sheer, it will give you a very natural tint which can wear off fairly quickly. If you are looking for an incredibly moisturising sheer lipstick with no nasties (because our body absorbs a lot of the products we use! ), Rose Lime is your pick! If you are looking for something that is a bit more pigmented, check out Lük's other selections here. This product was provided for editorial purpose. My goodness, Mother's Day is just creeping up. I can't believe we are in May and by next month, we will be in mid year. Where did this year go!!!?!? I swear Mother's Day gifts becomes harder and harder each year, trying to toss up the variety while Dad's easy to please with a lottery ticket. Lush is a fail proof present. This year, Lush brings out another impressive range of Mother's Day gift ideas! This is no school-dinner reject, swish and swipe its tantalising tonka and lavender jiggliness over your body and make showering as fun as it was when you were a child. This is my second shower jelly and it is beyond fun. Pink custard is just genius. Even though this is suppose to be for mum, but the boyfriend already took this from the stash. Talk about demand! This bath bomb will put a smile on your mum's face, with Sicilian lemon and sweet orange oils. 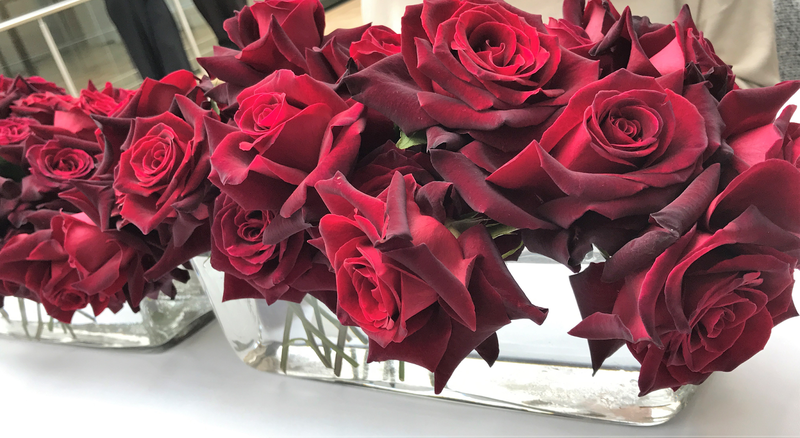 Rose softens the scent to create a light, fresh and floral experience. Also available in Pink. The newest buffer on the block with all that hydrating honey and cocoa butter, Scrubee may seem like a real softy but don't underestimate his polishing power! He is packed full of ground coconut shells and ground almonds to give you a gentle, effective exfoliation. Scrubee is just too cute! Grounding rosewood entangles sharp grapefruit and heady neroli for a unique blend of zen. This bubble bar will definitely brighten mum's day, from colour to scent and the bubbles, it's just a bonus. It's perfect for a weekend pampering session. This is a bright and zesty soap, layer of toning tangerine and mandarin. I personally love Lush's soap, is it me or is it filled with oils cos it's so hydrating and not like other soaps. I've already used a quarter of this soap and it's great for waking you up in the morning! Create a scrumptious tower of bubbles as lemony yellow gallops across your bath! Marvellous lemon and lime oils refresh your inner sparkle, as grapefruit oil lifts you to lofty new heights. Giraffe is one of my favourite animal, this is just too cute, it took me a while to figure out what it was without looking through the pamphlet. The products featured in this post were provided for editorial purposes.